How do you deal with a hole in your life? Do you turn to poets and pop songs? Do you try on love just to see how it fits? If you're Avery, you do all of these things. And you write it all down in an attempt to understand what's happened--and is happening--to you. 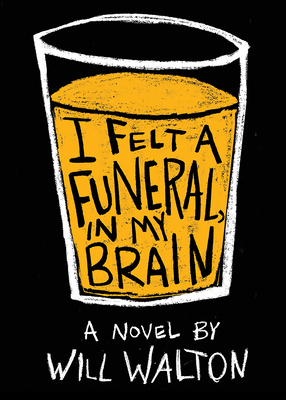 I Felt a Funeral, In My Brain is an astonishing novel about navigating death and navigating life, at a time when the only map you have is the one you can draw for yourself. Will Walton is an indie bookseller in Athens, Georgia. Anything Could Happen was his first novel. "This novel is a work of art. I haven't read anything remotely like it in my life. There are little holes in my heart from reading this book--truth shot through. Will Walton has written a singular story about loss, pain, love, and poetry that will stay with me for a long time. Will Walton walks us through a minefield of addiction and coming of age like no one has before.